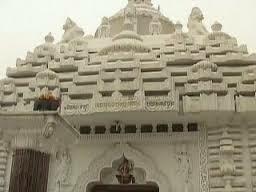 Here is Some Information about Jagannath Temple in Delhi India. 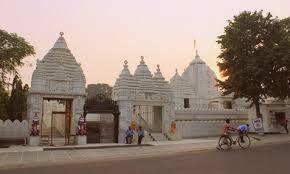 Jagannath Temple is located Hauz Khas ,Near Green Park Metro Station in Delhi the capital of India.The temple was built in 1969 by Sree Neelachala Seva Sangh Delhi.The temple is dedicated to lord Jagannath.Other deities such as Balrama, Subhadra, Sudarshana Chakra etc. can also be worshiped in this temple. 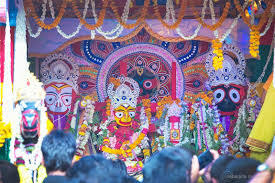 The Jagannath temple is known for its Rathyatra festival, which is attended by thousands of devotees each year.Orissa Government had donated one lakh rupees for the temple would also serve as a centre of cultural, religious and spiritual interests of Oriyas in Delhi. The Lord’s Yatra began first in 1979 after the temple was built.The idols worshipped here are of Lord Jagannath, Lord Balabhadra (brother of lord Jagannath), Maa Subhadra (sister of lord Jagannath) & Sudarshan chakra. “Kshana madhuna Narayana manugatam” Mantra chanted in the morning & evening Aarti (prayers) before the closure of the temple, take you to a new platform away from this harsh world. 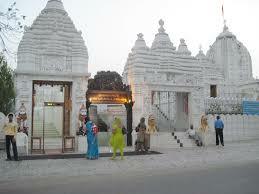 Jagannath Temple’s iconic white architecture is a tourist attraction in itself. Not to be confused with the ancient Jagannath Temple in Puri, the Jagannath of New Delhi is a modern temple that attracts devotees from all over the city and beyond. 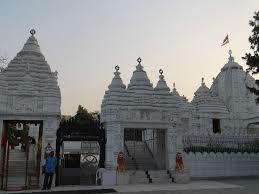 Delhi’s Jagannath Temple even accommodates pilgrims and other visitors who travel from far and wide to worship here. As some journey for days on end, the temple offers these pilgrims a place to stay and rest. There are shops available outside the temple from where you can purchase various post cards & souvenirs of your visit. It opens from 5:30 AM-12:30 PM & again reopens from 4-10 PM. Cameras are not allowed inside the premises. 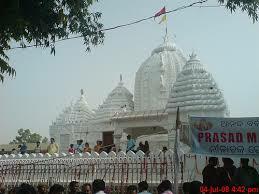 Hence, go & experience the closeness to the Divine Lord in a calm and serene environment at Shri Jagannath Mandir. By Road : There are many public and private vehecals available to reach Jagannath Temple in Delhi. By Metro : The Nearest Metro station is Green Park Metro Station Delhi. By Rail : The Nearest Railway station is Delhi station.